Today, Blackbox launched the Startup Genome Compass, a benchmarking tool designed to help entrepreneurs keep track of their startups’ progress and know what to do next, based on data from more than 3,200 startups and research from Berkeley and Stanford. Many a bright-eyed entrepreneur heads west hoping to strike it big in the Silicon Valley startup game, yet 94% of them fail. For most, such an intimidating statistic may indicate that Valley success is nothing more than a matter of luck. But one company, business accelerator Blackbox, hopes to prove that building a startup can be a science. Earlier this year, Blackbox released the Startup Genome Report, a 67-page analysis of more than 650 startups, created in collaboration with researchers from Stanford and Berkeley, that seeks to determine which startups succeed and fail, and why. Since then, they’ve expanded the report to include roughly 3,200 high-growth Internet startups, and based in part on that data, today launched the Startup Genome Compass (SGC), a benchmarking tool designed to help entrepreneurs keep track of their startups’s progress and know what to do next. Rather than make decisions based on an arbitrary whim or advice from others, SGC bases its recommendations on hard data. Every month, entrepreneurs can benchmark their startups. 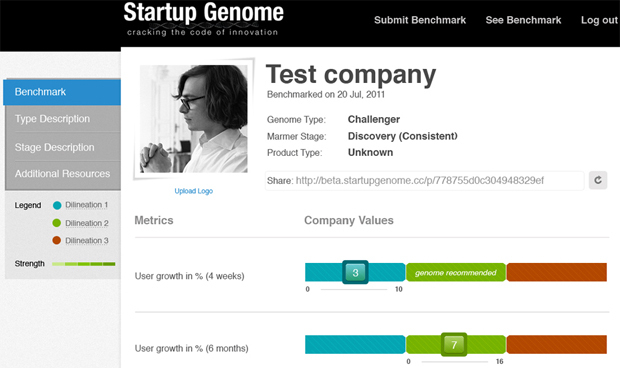 After filling out a questionnaire, SGC will automatically classify your startup by type and stage, compare it to other similar startups, and generate a personalized Genome Report across 25 key performance indicators, including metrics on your customer, product, and team value, as well as metrics related to your business model and finances. Startups that have helpful mentors and track metrics effectively raise 7x more money and have 3.5x better user growth. Startups that pivot once or twice boast 3.6x better user growth and are 52% less likely to scale prematurely than startups that pivot more than twice or never at all. Solo startup founders take 3.6x longer to reach the scale stage compared to founding teams made up of two members. Blackbox says they’ve cracked “the code of innovation,” and believes that “turning entrepreneurship into a science will trigger a new era … [called] the Entrepreneurial Enlightenment.” But Blackbox doesn’t need to have such lofty claims and ambitions. SGC, its first application, has a specific and useful goal: to prevent premature scaling. To that end, SGC is designed to help startups properly scale. Is a 5% increase in retention good? Do I have enough users to enter a new market or platform? Is it the right time to hire more engineers? The service will provide entrepreneurs with a dashboard to monitor their progress on these fronts on a monthly basis. Blackbox says their assessments are based on a model able to predict success and failure, based on data and synthesized expert knowledge from leading Valley voices such as Steve Blank and Dave McClure. 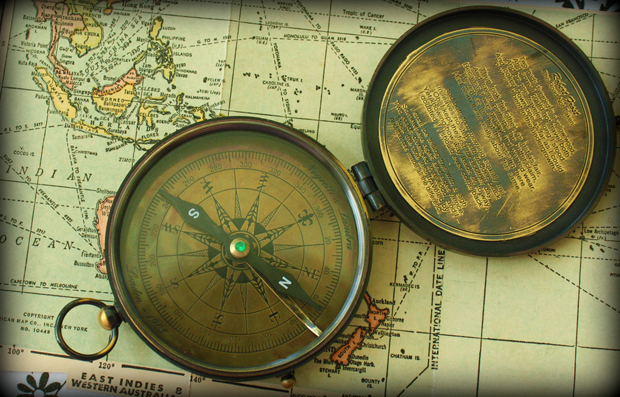 Still, some may find the Startup Genome Compass’s purpose to be at odds with Silicon Valley’s ethos. For industry known so much for risk taking and disruptive business models, there’s a question whether a true “innovation code” actually exists, as Blackbox claims. Can success in the startup world really be based on a calculator? Do company founders want to leave business decisions up to a calculator? Going forward, the company hopes to launch benchmarking tools for larger companies and add more data metrics.